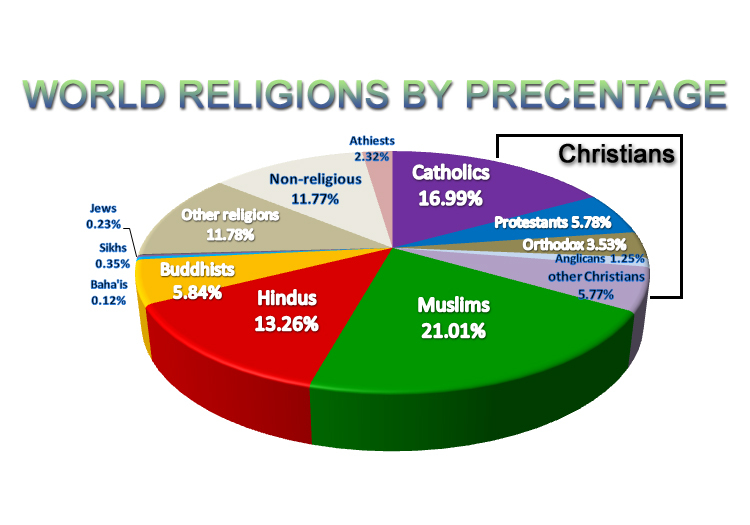 The youngest of the world’s major religions is Islam. It is also one of the the largest, with more than 1 billion adherents. 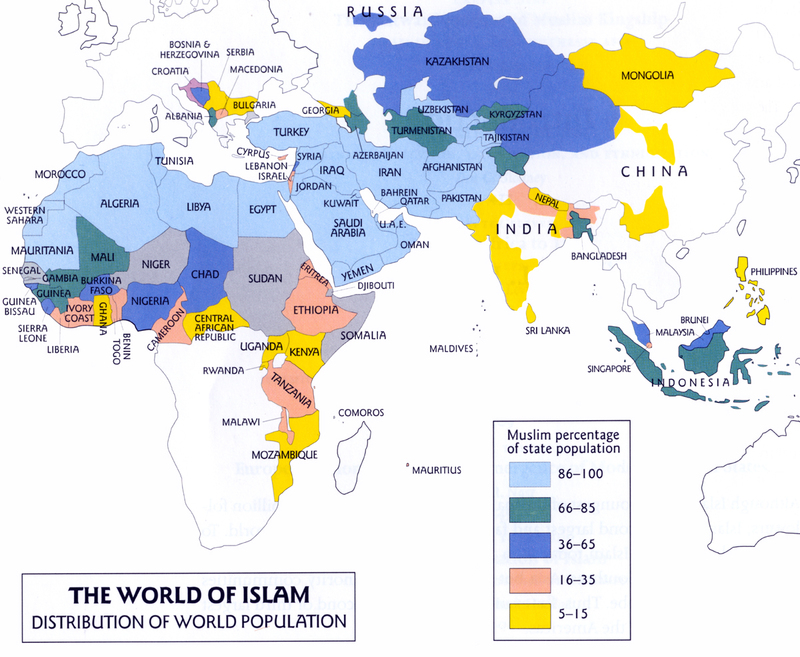 Islam is the dominant religion in many of the developing nations in the Middle East, Africa, and Asia. This makes Islam one of the most interesting and important religions. The basic belief of Islam is that there is only one God, who is called Allah, the same God worshiped by Jews and Christians. Allah is the sole and sovereign ruler of the universe. Though Allah has made himself known through other prophets at other times, his final revelation was to the prophet Muhammad in the 7th century CE. Islam teaches that a person has just one life to live. How believers live this life determines how they will spend their eternal existence. During this one life, believers must fully submit to the will of Allah. Thus adherents to this religion are called Muslims (those who submit to God). 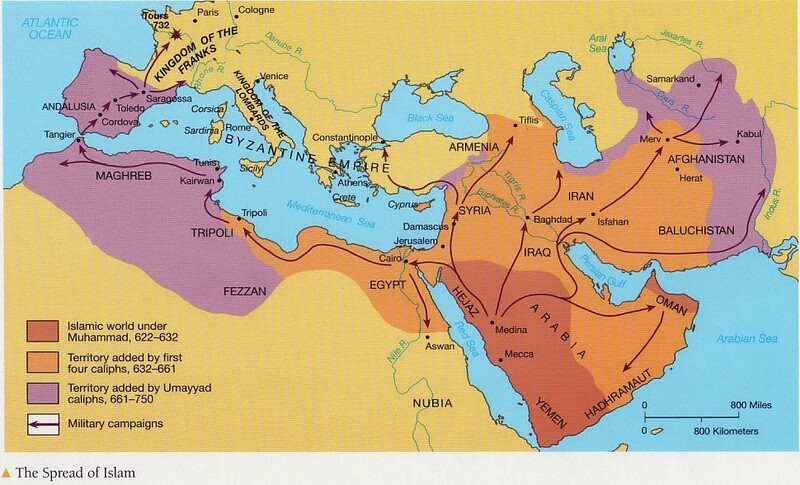 Islam began among the Arabian desert people in the 7th century CE. It did not appear out of nowhere, as the people from this area had already developed religious ideals and traditions. Byzantine Christians, Jews and even those of the Persian Zoroastrianism, were all present all over the Middle East. In fact, when Muhammad, the Prophet of Islam entered Medina in 622 CE, many of the residents of the city were Jewish. 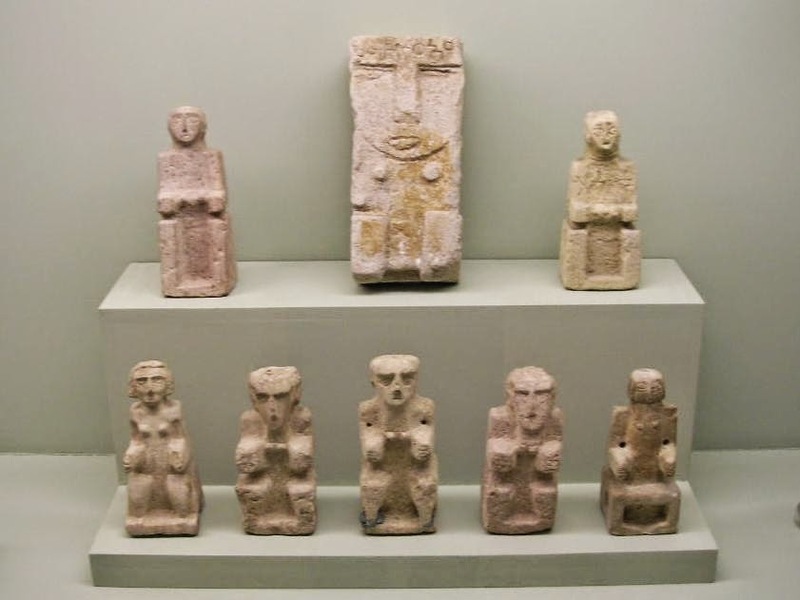 The religion of the pre-Islamic Arabs was characterized by it’s animism. Gods and spirits were believed to be in stone, tree, wells, animals; these spirits were placated and implored to for aid. 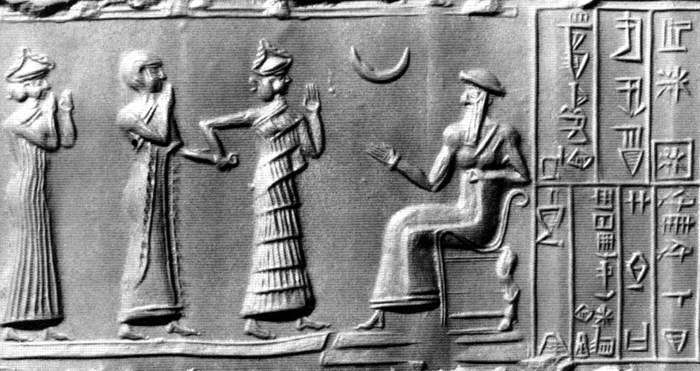 They worshiped a variety of gods. The city of Mecca was a holy place for pilgrims and all their variety of gods. Mecca was also a economic center, as caravans passed through from all over. Hence there was a economic motive for being a welcoming place for all kinds of deities, from all the different visitors. Eventually, pilgrims built an enclosure to house the many deities that people came to Mecca to worship. This enclosure was named the Ka’ba. 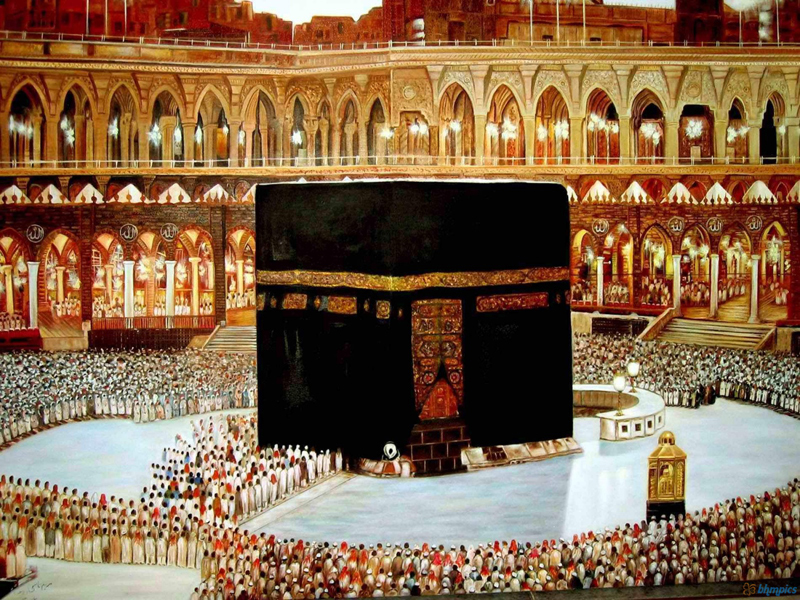 An important fixture of the Ka’ba is the Ka’ba stone. Islamic legend tells us that the stone fell to earth from heaven during the time of Adam and Eve. When it left heaven it was white and pure, and when it fell to the earth it turned black after absorbing all the sin and impurities of this world. Abraham, and his son Ishmael, his son by his slave Hagar, built the Ka’ba to house the stone. Some scientist think the stone is probably a meteor. As the Ka’ba began to fill with idols and paintings of all the pilgrims, more and more people would journey through Mecca, making Mecca a very wealthy city. There is no wonder why clans vied for control over the holy shrine. Perhaps the major religious force from which Islam grew- and reacted against- was the native religion of the Arab people, as the deities that received the most attention were the local and tribal gods. Due to Islam being a very new religion, we know so much about the Islamic Prophet of God, Muhammad. He was born about 570 CE, into the clan of Hashim of the Tribe of Quraysh, the group that controlled the Ka’ba in Mecca. Both Muhammad’s parents died when he was young, so Muhammad was raised by his uncle, abu-Talib, chief of the Quraysh tribe. Life of an orphan was rough in those days and Muhammad was not formally educated. Actually, it is widely believed that Muhammad was illiterate. Thus, the revelation of the Qur’an to him was something of a miracle. Mecca controlled the trade that flowed through the Indian Ocean and the Mediterranean Sea, which solidified the wealth of the city. Christians, Jews, and even Zoroastrians frequented this caravan route and had several things in common. They all believed in one God, they had scripture believed to be the word of God, they all believed the world would end one day when the righteous would be rewarded and the evil tormented in hell. There is little doubt that these ideals naturally influenced Muhammad. While working with the caravans on route through Mecca, Muhammad met his first wife, Khadija, who owned a caravan. Khadija was wealthy widow of about 40 years when she married 25 year old Muhammad. Although it was permissible for Muhammad to have more than one wife, Muhammad was married only to Khadija as long as she lived. She bore him two sons and four daughter. The sons died in infancy and only one daughter, Fatimah survived her father. His wife Khadija would be one of the first converts to Islam. During their marriage Muhammad began to go into the hills surrounding Mecca to meditate. created Man from a blood-clot. taught man what he knew not. At frequent intervals during the rest of his life, Muhammad received revelations from God in this fashion. Eventually, scribes committed these revelations to writing, to become the scripture of Islam, the Word of God, called the Qur’an. After a series of revelations, it was revealed to Muhammad, and he was convinced, that there was only one God, Allah, and whom other religions called by other names. He was also convinced that he was the last of Allah’s prophets. Previous prophets, the main ones being, Abraham, Moses, and Jesus, had only an incomplete revelation from God. he had the complete and final revelation. This shows that Islam did not deny the validity of other religions, but rather looked upon itself as the completion of what others began. Muhammad never considered himself as anything more than a prophet. He never claimed to be divine, and he died like any other person. When Muhammad first began to reveal God’s word to the people of Mecca he did not receive much encouragement. In fact, he received open hostility. Preaching that there was only one God who was not to be worshiped with idols was very bad for business. Mecca depended on all the pilgrims arriving to worship the idols at the Ka’ba. Muhammad slowly began to gain converts, but most of them were from the poorer classes that were attracted by the the charity and equality that Islam offered. When opposition and persecution became more severe, Muhammad had to urge some of his followers to leave the country. 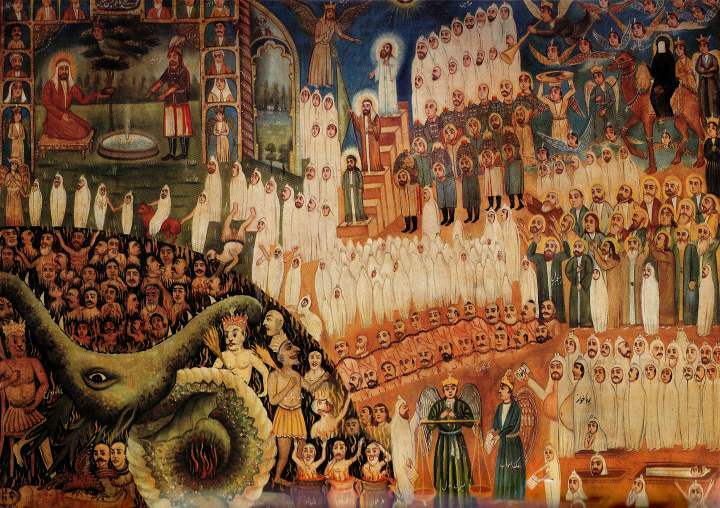 In 615 CE, about 15 Muslim families fled Mecca and took refuge in the Christian Kingdom of Abyssinia (Ethiopia today). In 619 CE Muhammad lost his wife and his uncle. Without his uncle, Muhammad lost the protection of the powerful Quraysh tribe. In 630 CE a group of six men from Yathirb (what is now known as Medina), journeyed to Mecca to seek Muhammad out. They were very impressed with him, his honesty, his sense of justice, and his charisma. Their city was being torn apart by clan strife. 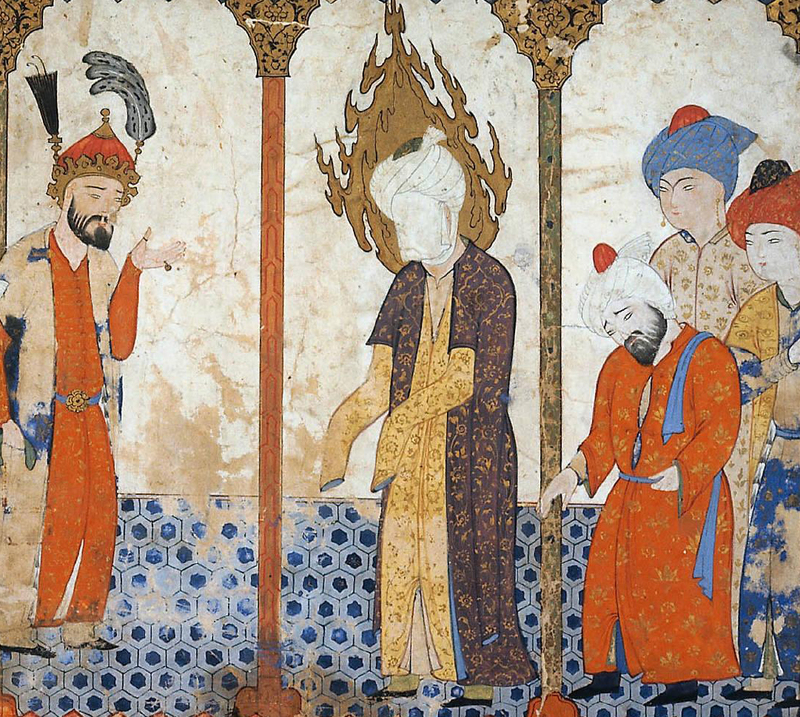 They believed Muhammad could be an impartial judge and mediator. They next year twelve men came, ten of them Jewish, as some believed that maybe he could be the Messiah, and they invited him to govern the city. 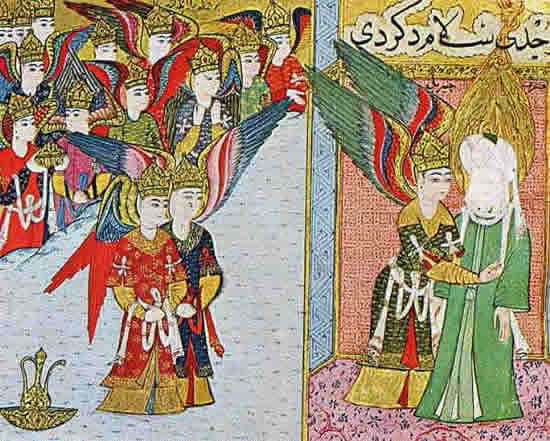 On 24 September 622 CE, Muhammad arrived. The journey from Mecca to Yathrib is called hijrah (migration). 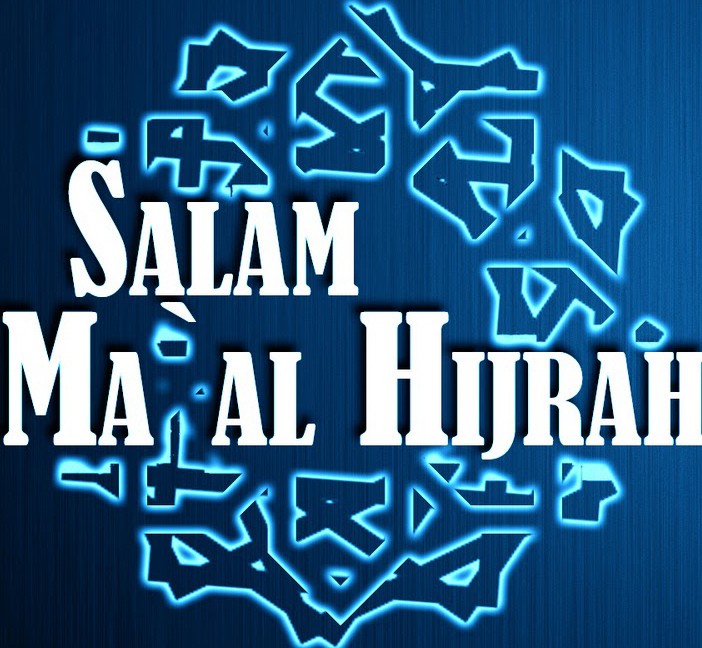 It is from this date that Muslims began to date their calendars using AH (anno hegirae). In Yathirb, Muslims were a clan among other clans, and their religion was not widely accepted. There was an agreement that was made which stated that even though Muhammad was the governor, other members of the community would be allowed to practice their own religions, which was mostly the Jewish and Christian religion. Unlike the polytheists of Mecca, Muhammad was opposed by monotheists in Yathrib. 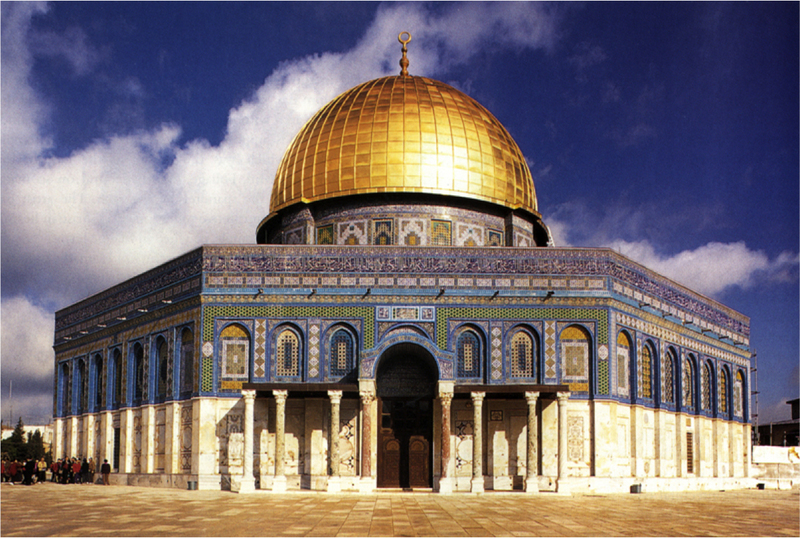 At first Muhammad commanded the Muslims to pray toward Jerusalem, but with the passing of time he changed the direction toward Mecca. In 627 CE, Meccans tried to attack Medina, but failed to take the city. The following year, the Muslims of Medina attempted to go on pilgimage to Mecca, but the Meccans locked them out of the city. They returned to Medina and converts grew and grew. In 630 CE, 10,000 Muslims entered Mecca for pilgrimage, unopposed. 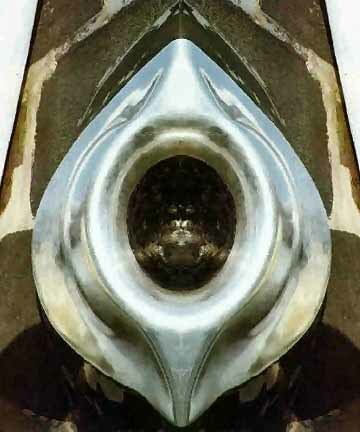 Muhammad went into the Ka’ba and destroyed every idol and image within, leaving only the black stone untouched. This act paved the way for Muhammad becoming the leader of the Arab people. Over the next few years, Islam grew rapidly as many converted. Muhammad’s marriage treaties brought even more converts into Islam as whole clans embraced the faith. This also strengthened and empowered him. 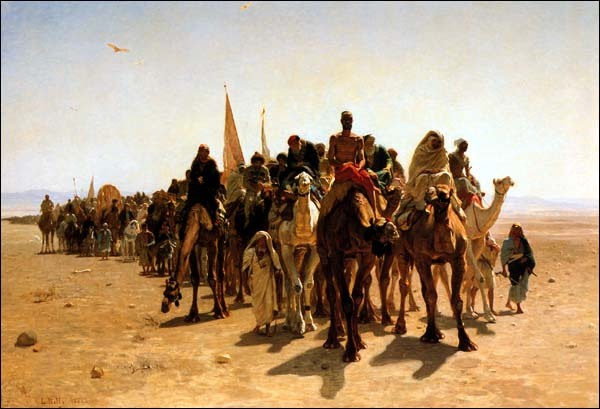 Qur’an reciters were also sent to convert the Bedouin tribes of the Arabian desert. 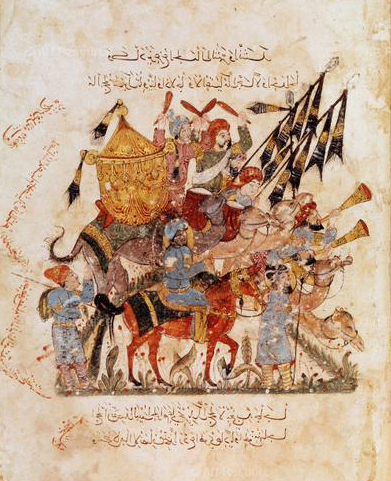 632 CE was Muhammad’s last pilgrimage to Mecca. After he returned to Medina he died. His death caused much confusion as to who would lead the Muslim people. Would it be Abu Bakr, Islams first caliph, and a succession of caliphs from then on? Or would it be the descendants of Ali, Muhammad’s only surviving child, his daughter Fatimah’s husband? For the time, they agreed that the caliphate would lead the people spiritually; however, later on down the road, a faction would split and follow the leadership of the descendants of Ali and Fatimah. The former would be called Sunni, the latter would be called Shiite. No scripture has ever been so influential to its people as the Qur’an. Surely no scripture is read as much or committed to memory as often. Although Christians and Jews take their scriptures seriously, human, though inspired, authorship is acknowledged. Such is not the case in Islam; the Qur’an IS the word of God: It is eternal, absolute, and irrevocable. The Qur’an is believed to be God’s last word to humanity. 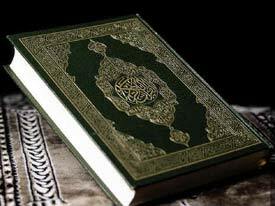 Islam respects the Scriptures of Jews and Christians, but the Qur’an is understood to be God’s final message.The ritual of reciting the Qur’an is to produce God’s divine speech. Those who commit the entire Qur’an to memory are given the honorary title of hafiz. The revelations that make up the Qur’an are organized into 114 surahs. 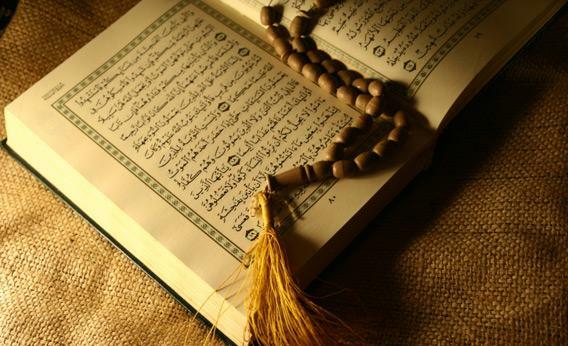 The surahs contain approximately 6,000 verses called ayas. The longest surah contains 287 verses, the shortest only 3. There is no topical or chronological arrangement of the material. Because the Qur’an is the word of God, its messages are the authority for all Muslims on God, how God expects people to live, and the central destiny of humankind. Allah is revealed as one sovereign God over the entire universe. The religion of Islam demand strict monotheism. Muslims believe that there is only the one God, complete, eternal, undivided. Of all the world’s other religions, only Judaism insists on such absolute monotheism. and equal to Him is not anyone. God’s role as an omnipresent, omniscient, and Omnipotent creator of the universe is heavily emphasized in the Qur’an. the Lord of all Being. 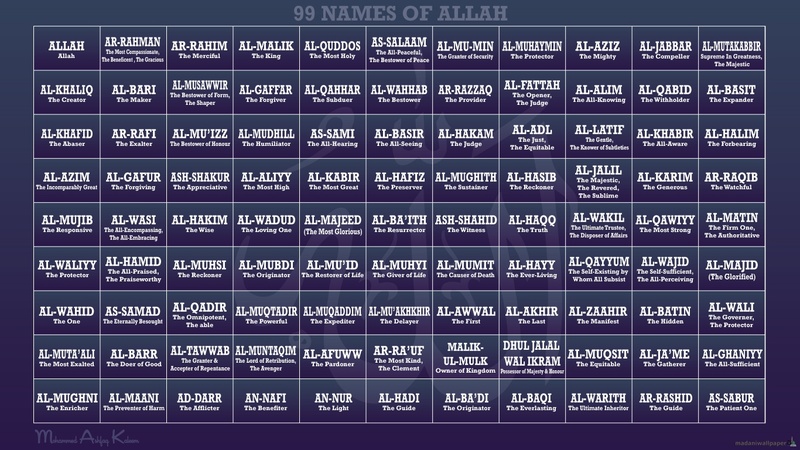 According to Muslim tradition, Allah has 99 names. Muslims repeat these names in a similar way that a Roman Catholic recites the rosary. Although Allah possesses the characteristics of power, sovereignty, and majesty, he is also characterized by justice and mercy. He will repay evil with justice and the righteous with mercy. good with the reward most fair. surely the Lord is wide in his forgiveness. 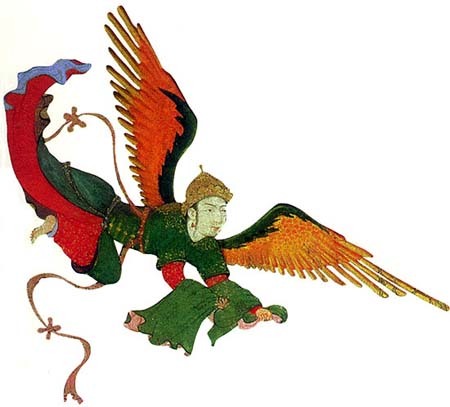 In Islam, Angels act as God’s messengers, as did the Archangel Gabriel when he revealed the Qur’an to Muhammad. Some are also God’s warriors that fight at the side of believers against the infidels. An example of a warrior angel would be the Archangel Michael. In Islam angels have no free will, therefore they can only do what God orders them to do. Angels are said to be made of light, and humans made of clay. The story is that God created Angels, Jinn, and Man. Jinn and Man were given free will. God commanded the Angels and Iblis who was the leader of the Jinn to prostrate before Adam. The angels obeyed immediately, as they could not disobey. Iblis refused to and felt himself superior to Adam. For this disobedience God exiled him from heaven, to earth. God was going to destroy him, but he begged to be spared until the day of judgement. This God allowed and Iblis vowed to spend all that time on earth trying to lead all men and women astray. It was after this that he became known as Shaytan. **I have been corrected by my friend, Bahija. 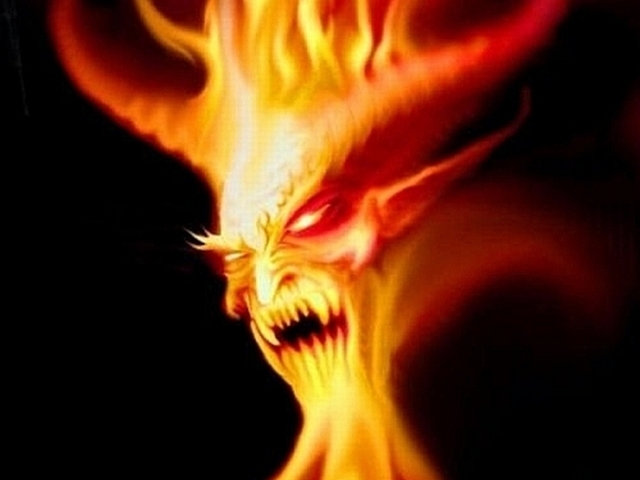 According to Islamic belief, Iblis was never an angel to begin with. He was created a Jinn. Which explains why he was able to disobey God (Allah), by not bowing before Adam when commanded to do so. I most likely got confused the Judaism belief. There are four schools of thought that have their own idea of predestination, two of them are way outside the folds of Islam. The first of these is Al-Jabiriyah. These people believe that humans have no control at all over their actions and everything is dictated by Allah. 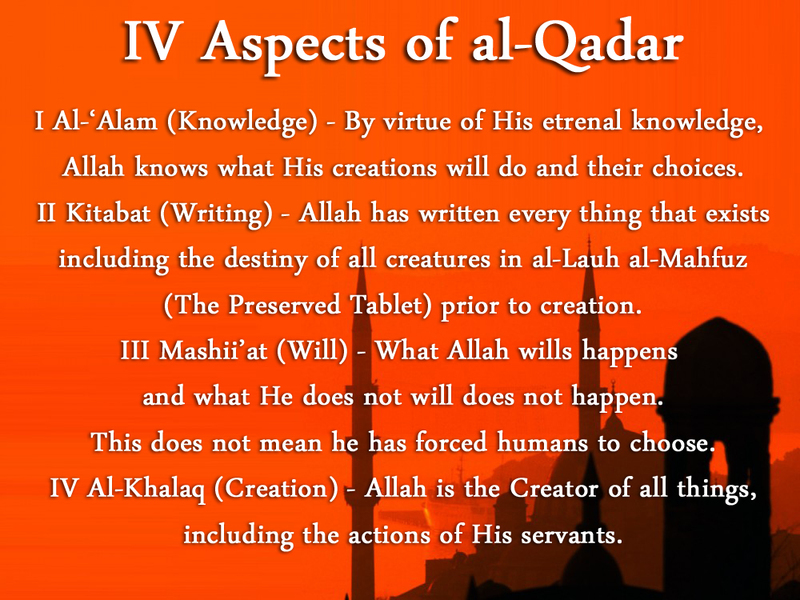 The second group is , al-Qadiriyyah, which is the polar opposite of the former. They believe that humans have complete control over their destiny, and that Allah does not even know what they will choose. The Sunni belief is the belief that God already knows all occurrences without the restrictions of time. and so it is written in the Preserved Tablet (al-Lauh al-Mahfuz). This does not mean that human beings do not have free will. They still chose their own, it is just that God has already seen that path. 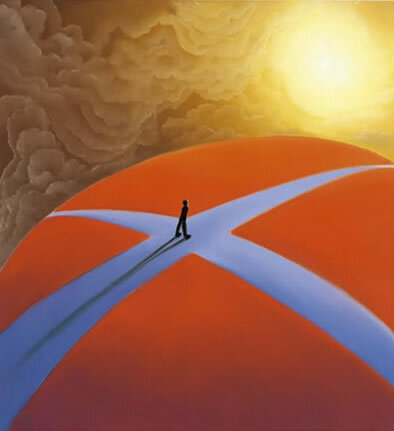 The Shia (Shiite) belief is a complete rejection of predestination, and that further more, not only is every humans destiny undetermined, but also that God may change any destiny as He sees fit. The Qur’an says that when a person dies, the body returns to earth and the soul goes into a state of sleep until resurrection day. On this day, the Angel of Allah will sound his trumpet, the earth will split, and the bodies will rejoin their souls. The resurrected are then judged by Allah. Those who have been faithful and virtuous will be rewarded, those who have been evil will be punished. Islam is NOT a temple oriented religion. Although certain places are venerated by Muslims, it would not have suited nomadic life to require them to worship at any sort of temple. The nature of their lives and religion demanded that they be free to worship Allah everyday, where ever they might be. Muhammad decreed Friday as the special day of Muslim worship. The Jews laid claim to the Sabbath (Saturday), and the Christians Sunday. There are some places where Muslims, Christians, and Jews use the same sites, and this way is most efficient. Also, Friday is the only day where Muslims are required to pray together at a mosque. The rest of the week they are free to pray where ever they like. At the mosque on Fridays, believers are led in prayer by the imam. The imam is someone chosen from the community known to be knowledgeable and pious. Mosques also serve as schools and libraries. Being a Muslim is fairly simple and easy, which is why it has appealed to so many people and spread so fast throughout the world. 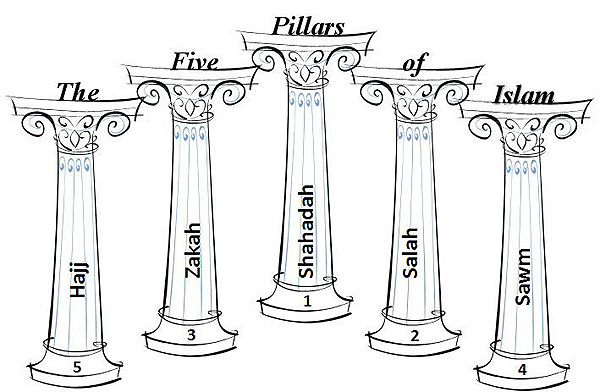 The Five Pillars of Islam are obligations that every good Muslim must achieve or strive to achieve. I. SHAHADAH (Confession of Faith)- The first pillar is the first step in becoming a Muslim. All one must do is recite the creed which translates to “There is no God but Allah; Muhammad is the messenger of Allah.” Muslims are supposed to repeat this creed everyday. II. 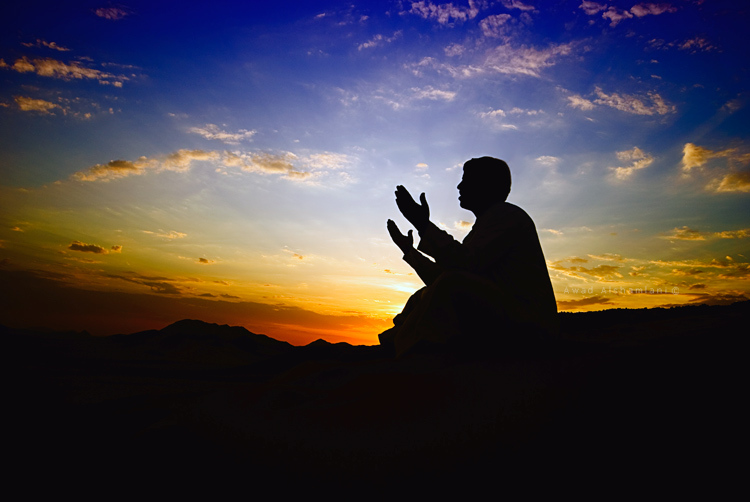 SALAT (Daily Prayer) – A good Muslim is expected to pray five times a day, and this can be anywhere, but the accepted times should be: Dawn, Mid-day, Mid-afternoon, Sunset, and Nightfall. Muslims are sticklers for cleanliness. Before prayer one must perform ablution, which is to wash any impurities away. This must be done with water if it is available. One must be clean before God, to be otherwise is to be disrespectful to God, and distracting to others around you trying to worship. Mosques have places built in where people can wash their hands, feet, and faces before prayer. Prayer is a complete submission before God, one must prostate themselves onto the ground before the Almighty God. They must bow as low to the ground as they can, and they must do so facing Mecca. Men and women do not pray together, to avoid improper contact and distractions during prayer. Some places, women are allowed to pray at home, so they can have an easier time minding the children. Some mosques do not have a place for women to pray, if this is usually the custom. III ZAKAT (Alms-giving) – Muslims are expected to share their possessions with the poor, widows, and orphans. Charity is obligatory according to Islamic law and it is assessed as a tax amounting between 2.5 – 10 percent of one’s wealth. Islam does not look at begging as dishonorable, giving and well as receiving alms is considered a source of God’s blessing. IV SAWM (Fasting) – Muslims are expected to fast. Most religions fast in some form or another, but Islam requires the longest and most stringent fast of them all. Each year during the month of Ramadan, Muslims are expected to abstain from eating, drinking, smoking, and engaging in sexual activity during the daylight hours (sun up, until sun down). The fast is kept in remembrance when the prophet first received his revelation. 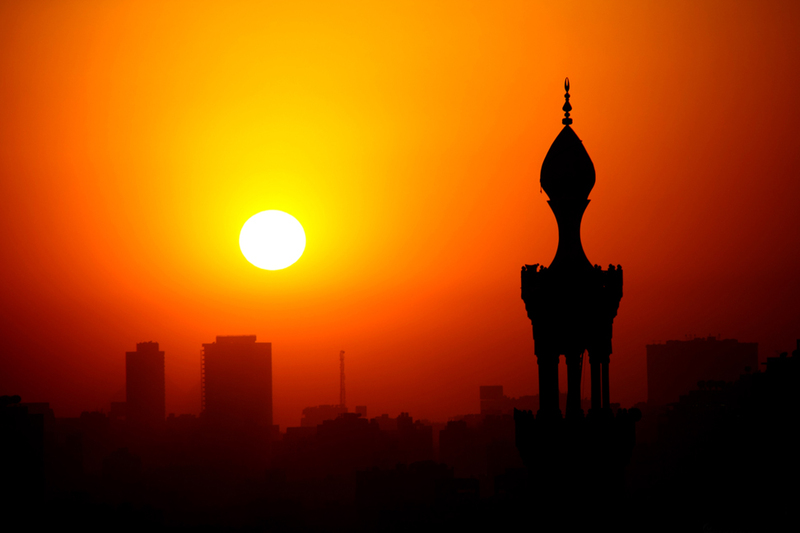 Due to the Muslim lunar calendar, the month of Ramadan varies from year to year. Those Muslims exempt from the fast are the ill, travelers, mothers nursing infants, and young children. It is believed that Allah will forgive all the sins of the Muslim who completes the fast. V: HAJI (Pilgrimage) – Pilgrimage to Mecca was apart of the pre-Islamic Arab religion. After the Prophet made his pilgrimage and destroyed all the idols in the Ka’ba, it then began a Muslims tradition. It was then decreed that every Muslim should make the pilgrimage to Mecca, at least once in their life, if they are able to. This pilgrimage is done in the month of Dhu al-Hijah. During the pilgrimage, the pilgrims also visit the Zamzam well, which was founded by Abraham’s son Ishmael, and Abraham concubine (Ishmael’s mother, Hagar). This was the well which saved their lives when Abraham was commanded by God to send them away into the desert. 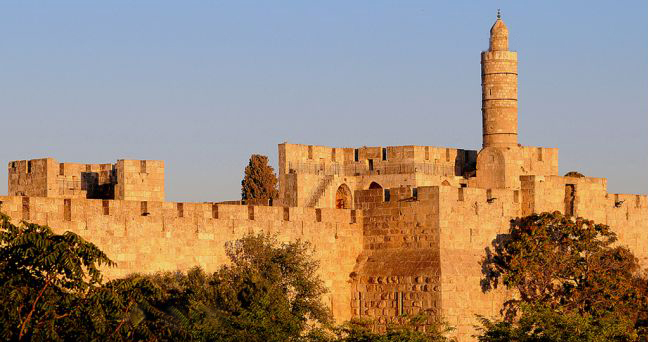 Abraham was reassured by God that Ishmael would be the founder of a great Nation of people. At the Ka’ba, the pilgrims make seven trips around and kiss the black stone. Also a sheep is sacrificed and feasted on to commemorate Abraham’s willingness to sacrifice his son Ishmael when God commanded him too. This was right before Abraham was commanded to send Hagar and Ishmael into exile. Those who make the pilgrimage are honored with the title Haj (male) or Haja (female). 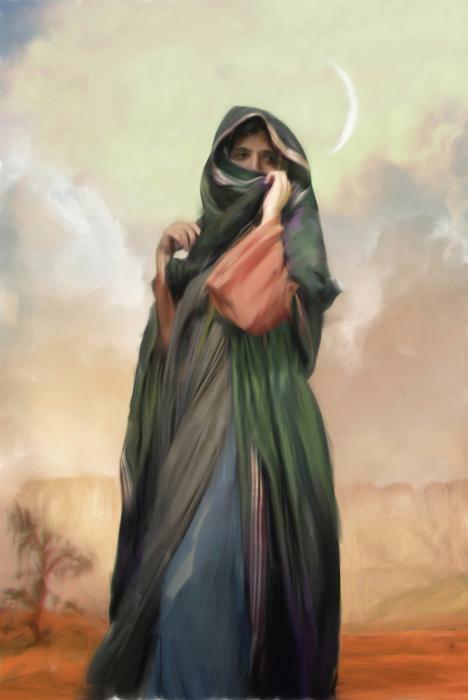 The position of women in pre-Islamic Arabia was very low. Female infanticide was a common way to control the female population. A woman was considered property owned by her father, husband, or elder brother. Although Muhammad did not raise the status of women to that of men, he did raise it significantly. Something as simple as saying every daughter will earn a father more blessings from God, and forbidding the murder of female infants, made all the difference in the world. Muhammad allowed polygamy as a way to care for widows, their children, and divorcees. He also preached that to marry a widow and care for fatherless children would earn twice as many brownie points with God. This protected women considerably in a world where her whole survival was dependent upon men. This was a society where men were frequently killed in battle and in which marriage was the only acceptable state for a woman. Many of the prophets own wives were women that were previously married to Muslims who were killed in battle. 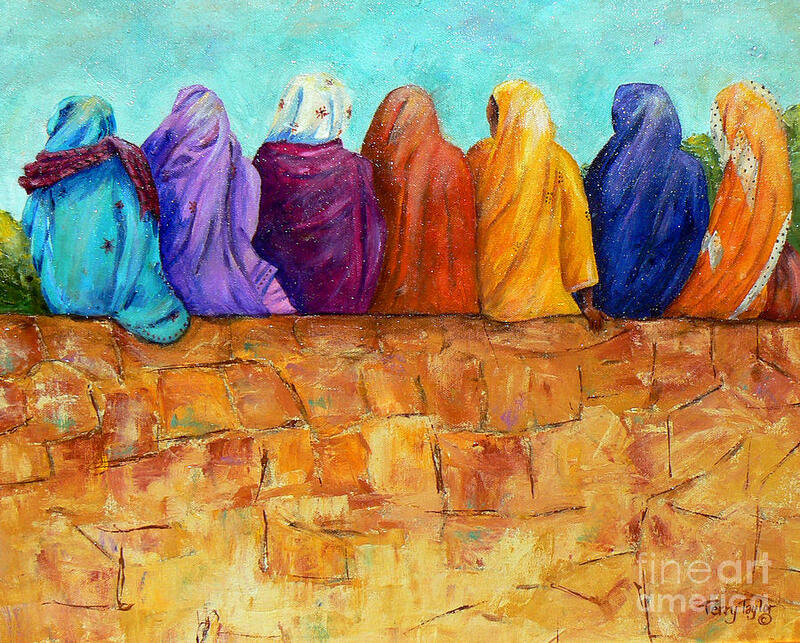 He allowed up to four wives for each believer as long as that man could provide for them, and treat them equally. Although divorce is easy and allowed in Islam, it is not taken lightly. All a Muslim has to do to divorce their spouse is to say three times, “I divorce you.” However, divorce rate is much lower in Islamic society than it is in Christian, whose divorces, if allowed, can be quiet complex. A Muslim woman had every right to divorce her husband, as he did her. Divorced women in Islam were not left completely destitute either. It is Islamic tradition that the husband pay a dowry to the wife, not to her family, or she to his. This “bride price” is agreed to and paid, before the marriage even takes place. In the case of divorce, the dowry remains the wife’s property. In most Islamic countries, modest dress is demanded of both men and women, but hijab (veiling) is not. In Islam, veiling is supposed to be the woman’s own conscious choice, which many choose anyway. Hijab is a visible sign of a woman’s piety and veiled women are held in high esteem in Islamic societies. Women are required to be veiled within mosques and holy sites. Some nations consider their whole country a holy site, such as Saudi Arabia, therefore women are required to be veiled in public. Many Islamic taboos concern food consumption. There are foods that are halal (allowed), and foods that are haram (forbidden). Food that requires the death of an animal requires a special invocation to Allah. The animal should be a free roaming animal and must be slaughtered by cutting the throat and saying, “In the name of Allah,” as a way to show respect to God and the animal that has been provided for sustenance. The animal is then drained of all blood. from the artery in the neck. Muslims are not allowed to eat unclean animals. The pig is considered one of the most unclean animal there is. The pig eats anything, even decomposing waste. Dogs are forbidden, as well a bottom feeder fish and other seafood that lives of the waste that settles to the ocean, river, or lake floors. Muslims must not eat donkey’s or birds of prey. Not only do birds of prey eat flesh, but they will eat dead, decomposing flesh as well. It is prohibited to eat these animals. They are unclean. This rule does not apply if one is starving and that is the only thing available to eat. Muslims are also forbidden to drink alcohol and gamble. To strive and struggle in the path of God. 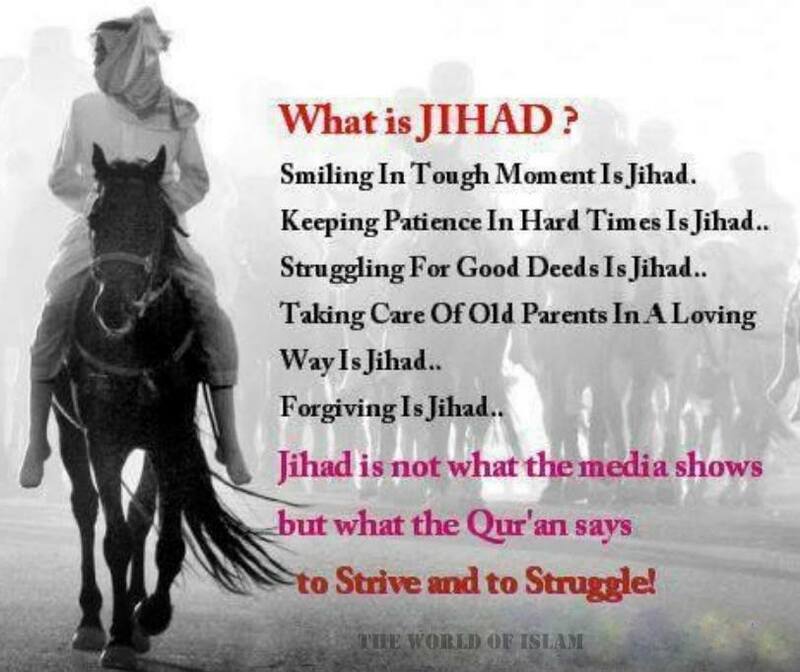 That is what Jihad is and means. Nothing more. To attack non-combatants, especially women and children, violates the Islamic law of war. True Muslim scholars conclude that using the Qur’an to justify attacks like what happened on 9/11, and call it Jihad, is simplistic, inaccurate, and self serving. 1. Islam is a universal religion. All people are created by Allah and can become Muslims. It recognizes no national barriers and no race distinctions. 2. Islam is a religion with wide appeal. Islam is a simple faith that does not have a ton of rules and require tons of ceremony and pomp. It is easy to practice and very clear cut. 3. The world that surrounded the early Muslims was confused and corrupt. Islam came and was very straight forward. Most of the Islamic rulers and conquerors were just, merciful, and benevolent. They won people over by their honesty and straight forwardness. People were tired of shady and corrupt rulers. Many people welcomed Muslim conquerors with open arms. Some even invited them. Although there are Muslims all over the world, even in the West, as immigrants move across the globe, intermarry and convert others, much of the World’s Muslim population is in the Middle East, Africa, the Balkans and Eurasia. Much of Islams reach can be credited to the growth of the Ottoman Empire during the Renaissance era and into the Baroque era. In recent decades, Islam as become an increasingly important force in the world politics. Many of the emerging nations of the Third World are Muslim. Some of these nations are very important to the world’s economy because they control vital natural resources such as oil, natural gas, and minerals. Today, Islam again has become a steadily growing religion. Immigration has caused a rise in Muslim populations in Western Europe and the United States. There have been many converts to Islam within the United States, especially among African Americans. Islam is now the second most popular religion in the United States, the first being Christianity.